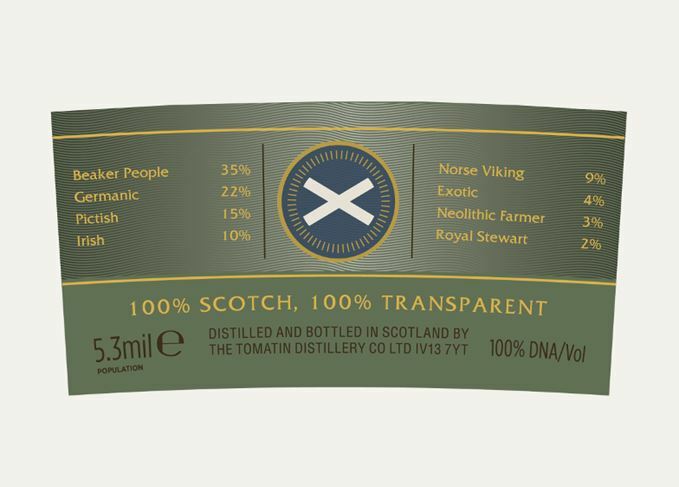 Highland distillery Tomatin has taken the transparency trend one step further by revealing the genetic make-up of Scotland’s population. Tomatin commissioned DNA experts Source BioScience to research the genetic composition of Scotland’s 5.3 million inhabitants, and revealed the results on World Whisky Day on Saturday (20 May). The research has been published on a specially created label, which shows that the average Scot’s DNA comprises mainly Beaker People (35%) and Germanic (22%) heritage, with some Norse Viking (9%), Neolithic Farmer (3%) and Royal Stewart (2%). The results are based on a study sample of 853 people with Scottish ancestry from the Y chromosome. Meanwhile, exploring the transparency theme further, consumers can request the recipe of any whisky from the recently launched Tomatin Five Virtues series by visiting the product pages on the Tomatin website: www.tomatin.com. The initiative is similar to the approaches to transparency previously adopted by whisky bottler Compass Box and Islay single malt distillery Bruichladdich. Jennifer Masson, Tomatin marketing manager, said: ‘Transparency within the whisky industry has been a hot topic over the past year, so we thought we’d have a bit of fun with it in celebration of World Whisky Day. The Highland distillery debuts Metal and Water, the final two whiskies in the series. 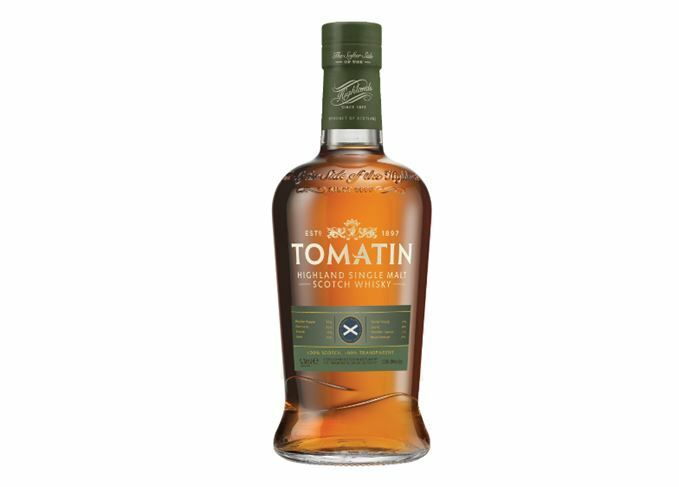 Tomatin 1971 is the first whisky release in the brand’s Warehouse 6 Collection.